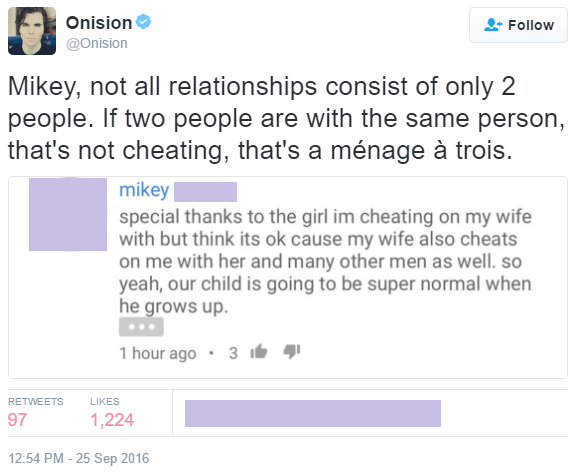 June 2016, Greg refers to his relationship with Lainey and Billie as a ménage à trois on twitter. current 09:18, 16 October 2016 577 × 474 (75 KB) Admin (Talk | contribs) June 2016, Greg refers to his relationship with Lainey and Billie as a ménage à trois on twitter. This page was last modified on 16 October 2016, at 09:18.